Miller’s uncle, David Glossar, published an op-ed this week that he detailed the family’s immigration history and slammed his nephew as an “immigration hypocrite.” He painted a picture of an immigrant family with no money that spoke no English that was fleeing Europe. Miller’s great-great-grandfather Wolf-Leib Glossar left Belarus because of “violent anti-Jewish pogroms” and came to the U.S. in 1903. Through the generations, the family built a chain of supermarkets and eventually became American citizens. That is exactly that kind of “chain migration” policy that immigrant hardliners, including Miller, say they hate. After college he bonded with his former boss, Attorney General Jeff Sessions, a longtime immigration hardliner. 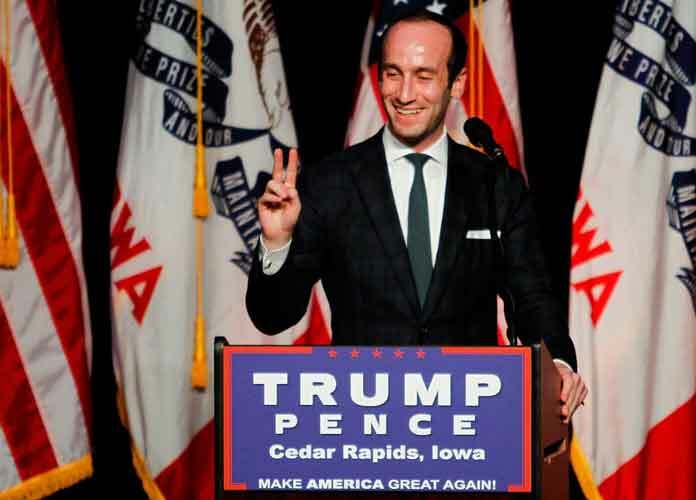 In 2017, Miller designed the initial version of Trump’s travel ban that barred people from several majority-Muslim countries entering the U.S. In his op-ed, Glosser also pointed to people around his nephew, noting that both President Trump and his wife Melania Trump have well-documented immigrant histories which would have been much different had their ancestors lived under laws like the ones they are proposing. Trump’s grandfather is a German migrant and his mother left Scotland for the U.S. First lady Melania Trump’s parents became citizens just last week.